For residents of Halifax, seeing Royal Canadian Navy (RCN) ships sail in and out of the harbour is routine, and it’s common to see the navy uniform being worn around town by the thousands of sailors who call the region home. However, Canadians who live away from the coasts don’t normally have the same level of familiarity with Canada’s naval service, and it can be harder to understand how the navy fits within the Canadian Armed Forces service to the country. 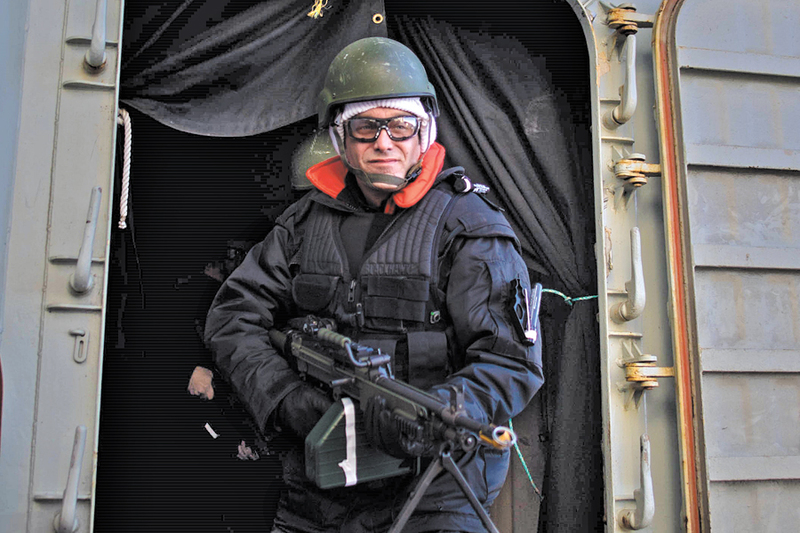 One of the way’s the RCN continues to combat this effect is through the Canadian Leaders at Sea (CLaS) program, which offers once-in-a-lifetime seagoing experiences to influential civilians in government, business and academia. The latest group set sail from CFB Halifax just before the holidays, spending more than 24 hours at sea with both HMCS Windsor and HMCS Toronto. Each CLaS program is designed to be an intense and immersive experience, giving participants a brief taste of what life is really like for RCN sailors and submariners, while also leaving them with a better understanding of naval operations and their importance to Canadian security. Sailing in submarines and warships while accompanied by senior navy leaders is an opportunity that most civilians are unlikely to come across, and the significance of the trip isn’t lost on the participants, said Gabriel Ste-Marie, the MP for the Quebec riding of Joliette and one of two members of the Bloc Quebecois party to go to sea. “It’s a unique chance that’s presented to us, to get a bit of knowledge of this reality without enrolling for anything long term, and I appreciate the hospitality and everything that’s being done for us,” he said. Aboard Windsor, LCdr Peter Chu and his team took the CLaS guests under the waves for a simulated anti-submarine war game, where they were able to use the periscope, listen to underwater acoustics via sonar, and get a walkthrough on the state-of-the-art fire control system. They then embarked Toronto, where they dined in the different messes and mingled with sailors, observed the ship’s company go to action stations and engage in damage control and firefighting exercises, and even suited up for a force protection scenario where they assumed roles among the crew and handled small arms with blank ammunition. A particularly thrilling night-time activity had each CLaS participant firing Toronto’s mounted .50 cal machine gun off the port bridge wing, with a light-up target in the water allowing for some friendly marksmanship competition. Even the transfer of the visitors from Windsor to Toronto was an adventure, involving a RHIB ride in the dark followed by boarding the ship via the Billy Pugh transfer device. Of course, standard tours of the entire ship and different mechanical briefings and information sessions were also part of the visit, as well as tours back on land of facilities at HMC Dockyard, 12 Wing Shearwater, and Irving Shipbuilding’s Halifax Shipyard. Cmdre Craig Skjerpen, Commander Canadian Fleet Atlantic, joined the group for the overnight sail in Toronto and through some of the tours of CFB Halifax facilities on land. The RCN is striving to increase recruitment and spread its message to Canadians who may be less familiar with Canada’s Navy, and Cmdre Skjerpen said exposing elected officials and other community leaders to this first-hand experience will hopefully allow them to take what they’ve learned and inject it into the public discourse. “The basic things we hope they take away are an understanding of the professionalism of our sailors, and the need the country has for a navy of a certain size that is globally deployable. We also hope for an understanding of what an important strategic asset our submarines are,” he said. The 24-hour adventure in Halifax won’t be forgotten anytime soon. Even Winnipeg Centre MP Robert-Falcon Ouellette, who happens to also be a PO2 in the Naval Reserve and a musician with the stone-frigate HMCS Chippewa, said he had an eye-opening experience stepping foot in a fully operational Canadian submarine, and that he witnessed a new level of training and preparedness during exercises on board Toronto. Dr. Robert Huebert, a senior research fellow in political science at the University of Calgary, echoed comments about the highly trained crew, particular during the action stations/damage control exercise. Cdr Steven Archer, Commanding Officer of Toronto, said he was thrilled to welcome the special guests for a night as he and his crew prepare eventual deployment to Operation Reassurance in early 2019.